Brizzy and Tessa rack their brains yet again and choose the top 5 books that have shaped them as humans, in both good ways and bad! From children’s stories to science fiction fairytales to young adult fiction to tales of spooky fantasy - THIS EPISODE HAS ‘EM ALL FOLKS. Join these Ravenclaws in discussion of their favorite stories in this book-centric episode! 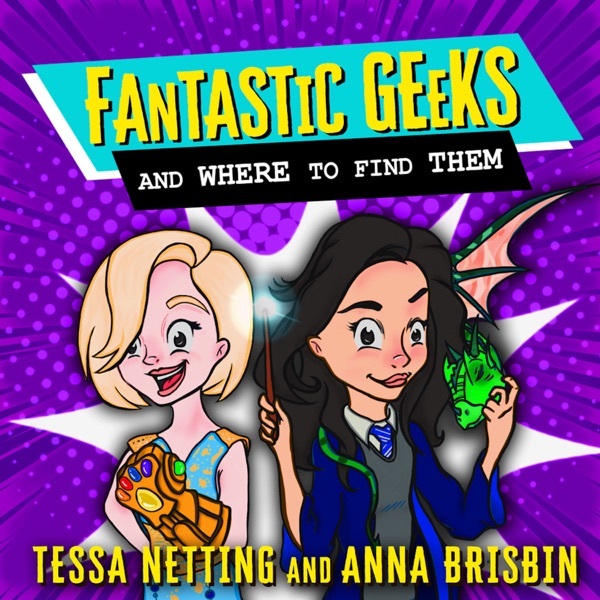 Follow us to stay up to date & send us an owl: TW: https://twitter.com/fantasticgeeks FB: https://www.facebook.com/groups/fantasticgeeks/ Email: fantasticgeekspod@gmail.com Tessa: IG: https://www.instagram.com/tessanetting/ TW: https://twitter.com/tessanetting YT: https://www.youtube.com/tessanetting Anna: IG: https://www.instagram.com/brizzyvoices/ TW: https://twitter.com/BrizzyVoices YT: https://www.youtube.com/brizzyvoices YOU are a Fantastic Geek!